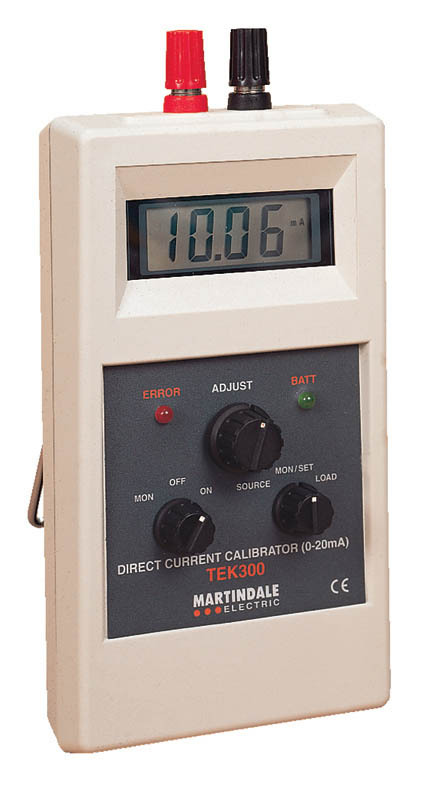 The Martindale TEK300 process control calibrator features sink, source and monitor modes for 0 - 20mA and is ideal for most process control applications, as well as general purpose signal injection applications. The handheld unit is fully portable and has a large 3.5 digit LCD display, with overload protection for extra safety. The Martindale TEK300 is supplied with batteries & instruction manual.